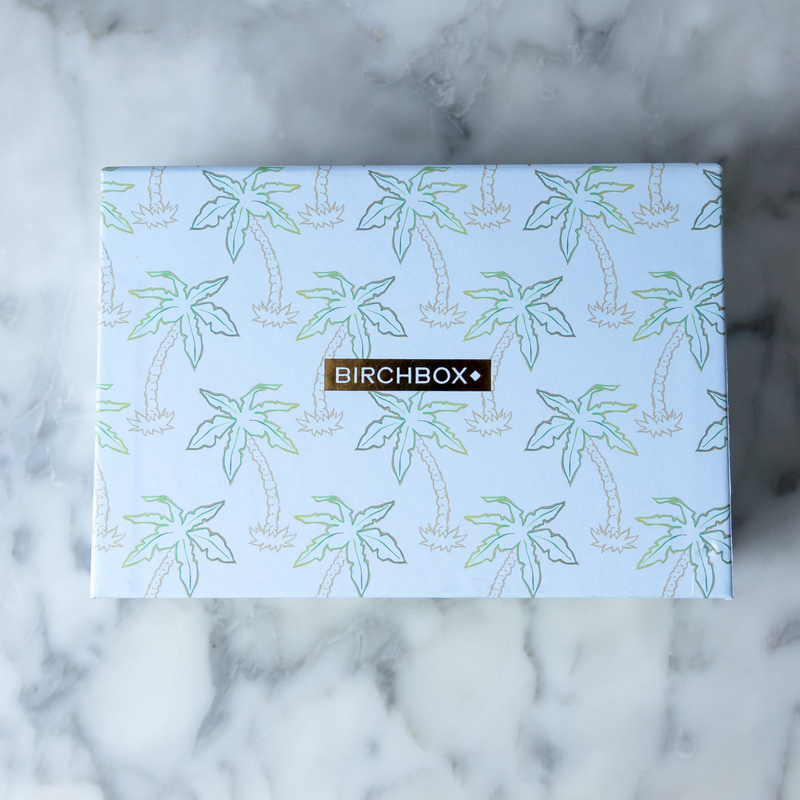 Birchbox brings us some sunshine this month with their two Paradise Found Birchbox designs. As you can see mine is covered with palm trees but the other boxes are covered with pineapples. 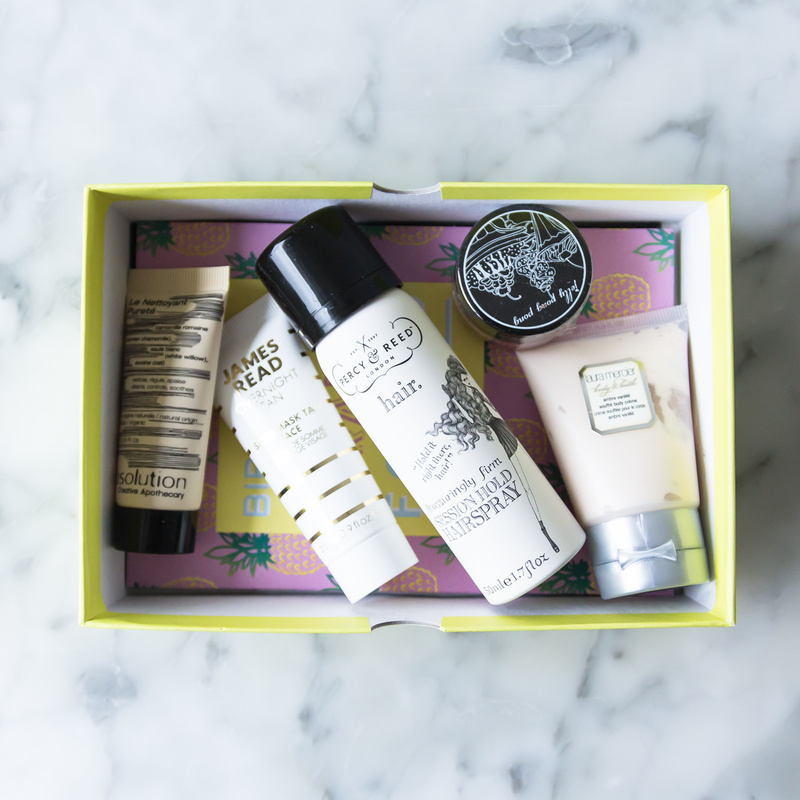 The products in my UK June 2016 Birchbox have been chosen as beauty must haves that are perfect for sunny days. This month I received one full sized item, the Jelly Pong Pong, as well as 4 well sized samples. This product smells amazing, very fruity. 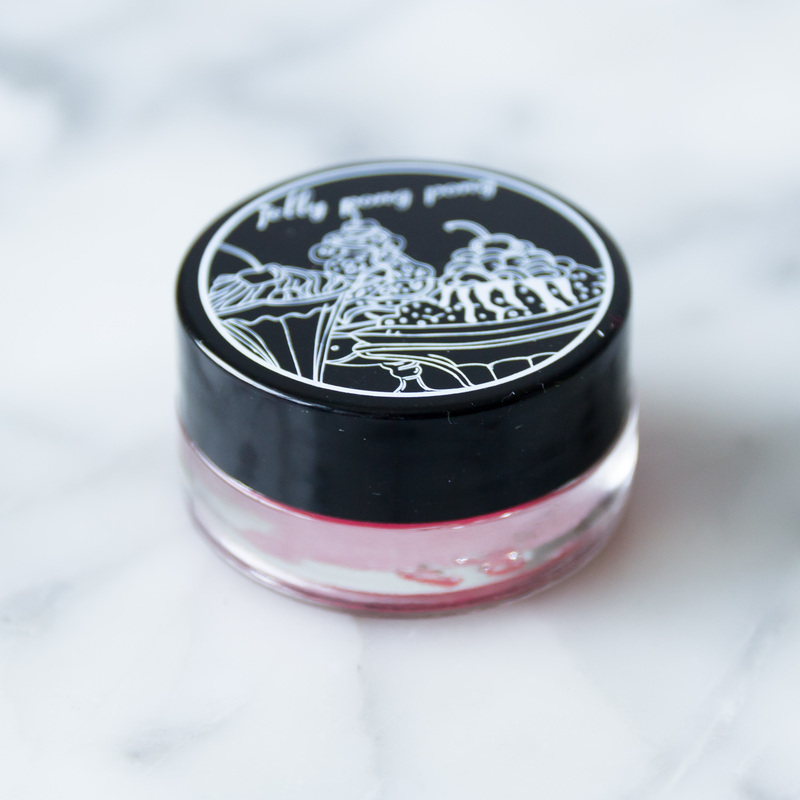 The scent is an artificial rhubarb and the product is cruelty free. 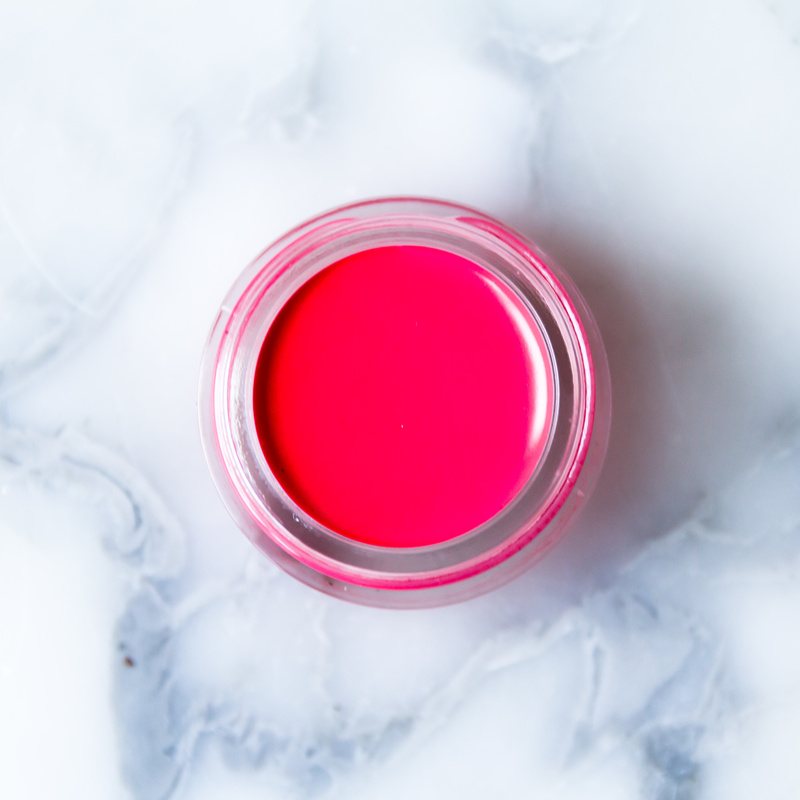 It looks like an intense neon colour in the pot and whilst it is highly pigmented it can be blended for a more subtle finish. 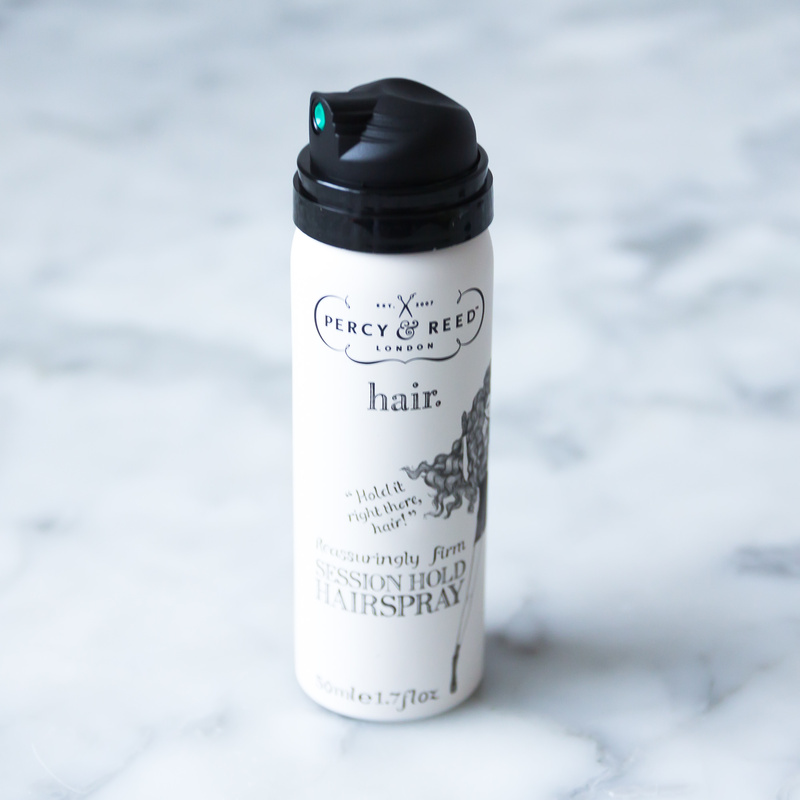 Next is the Percy & Reed Reassuringly Firm Session Hold Hairspray. 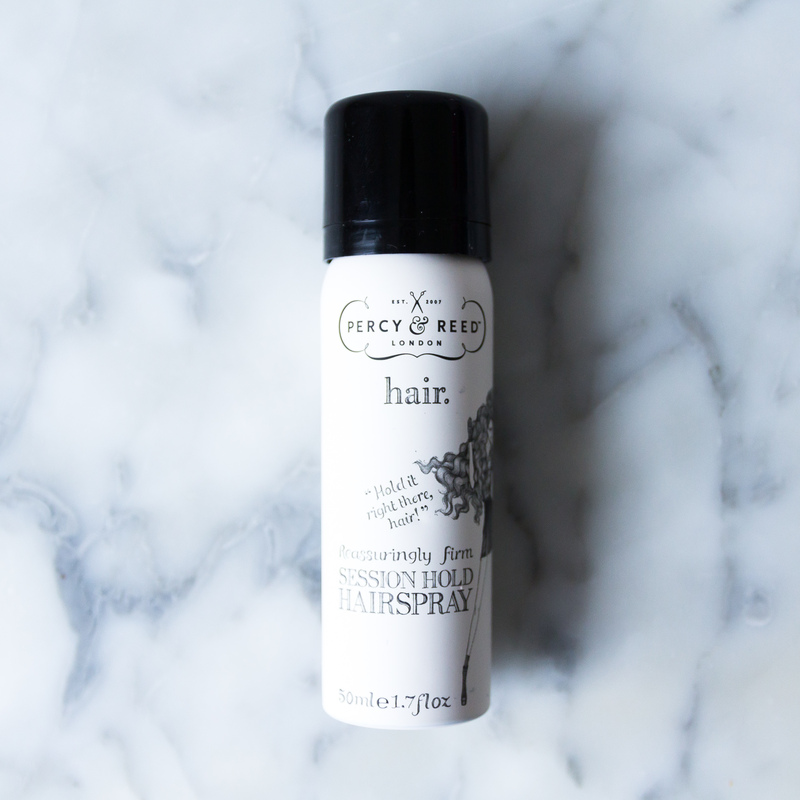 I have used the full sized product and loved it. I’m happy this came in a mini sample, I am collecting mini samples for the toiletries hamper we are leaving in the bathroom at our wedding venue so this will be perfect. 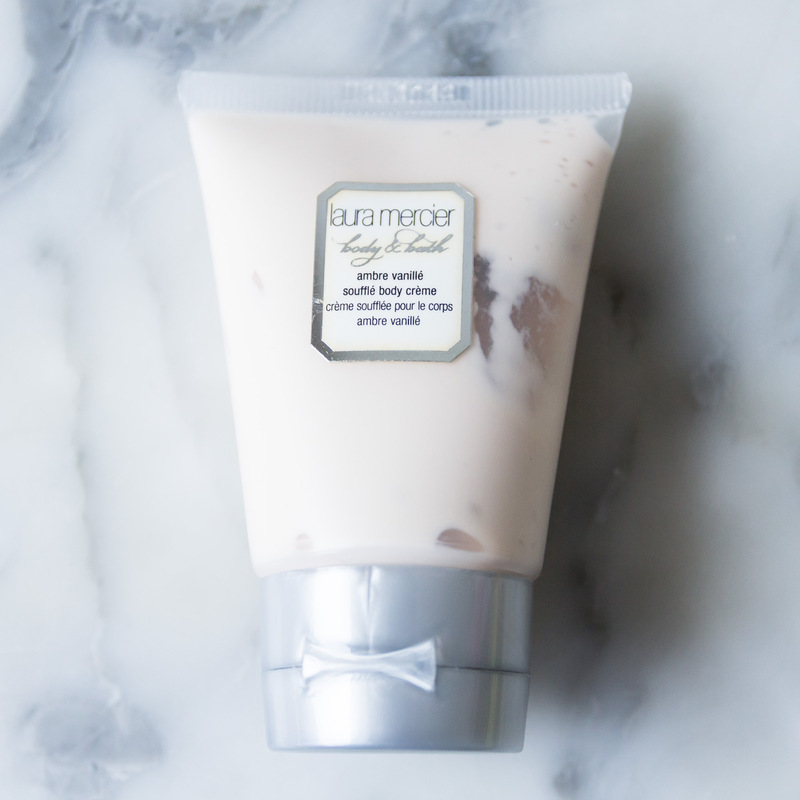 The Laura Mercier Souffle Body Creme in Ambre Vanille smells beautiful and contains grape seed, sweet almond, vanilla extract and honey. The sample size is reasonable and the equivalent of £3.75. 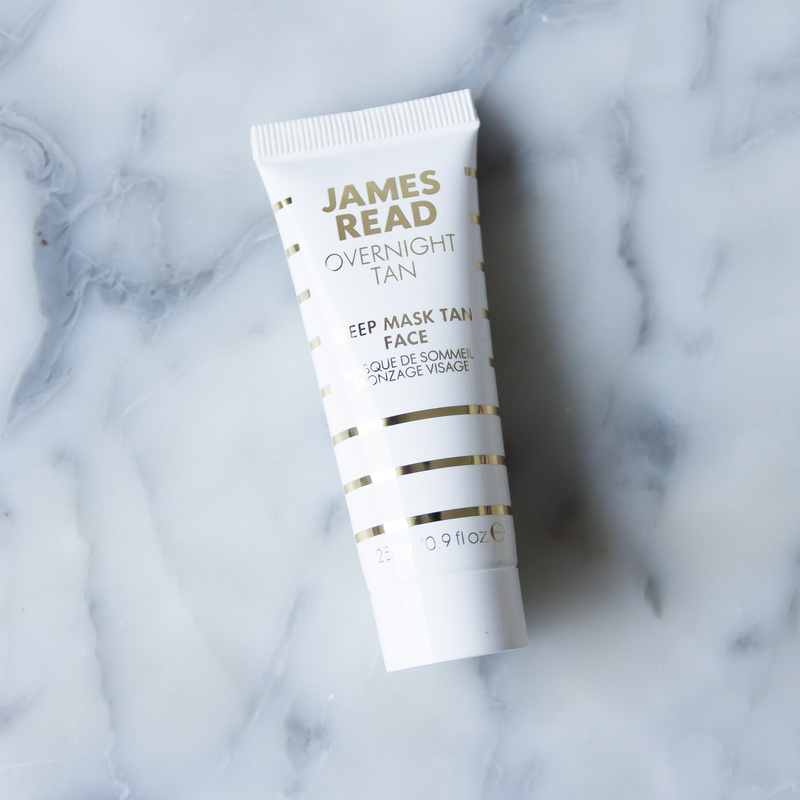 I am terrible at tanning and I am not sure if I can bring myself to use the next product, the James Read Overnight Tan Sleep Mask Tan Face. 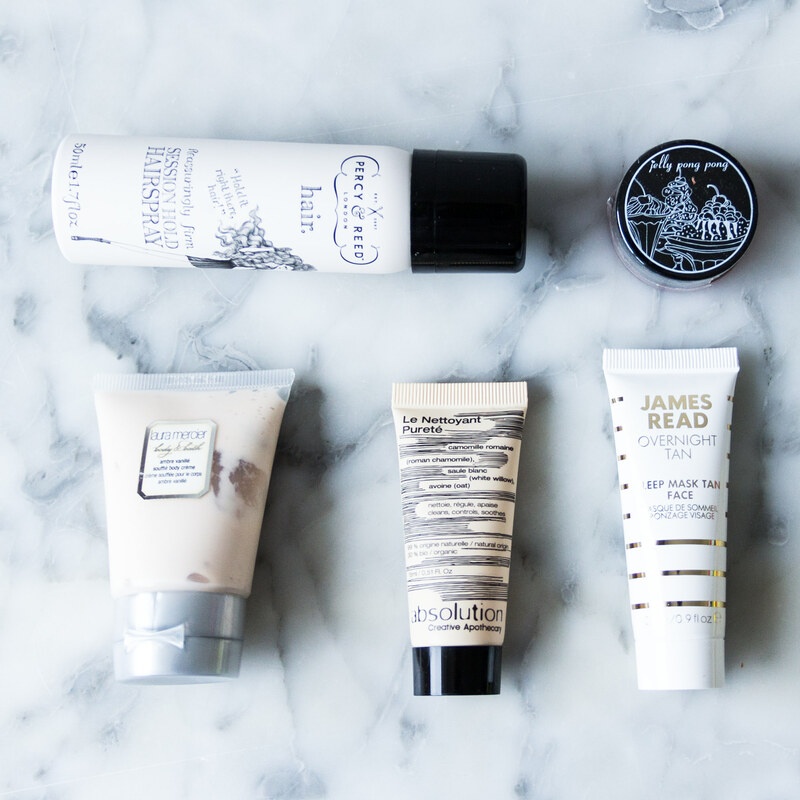 The product is fast drying, applies colourless and develops to a ‘golden glow overnight’. 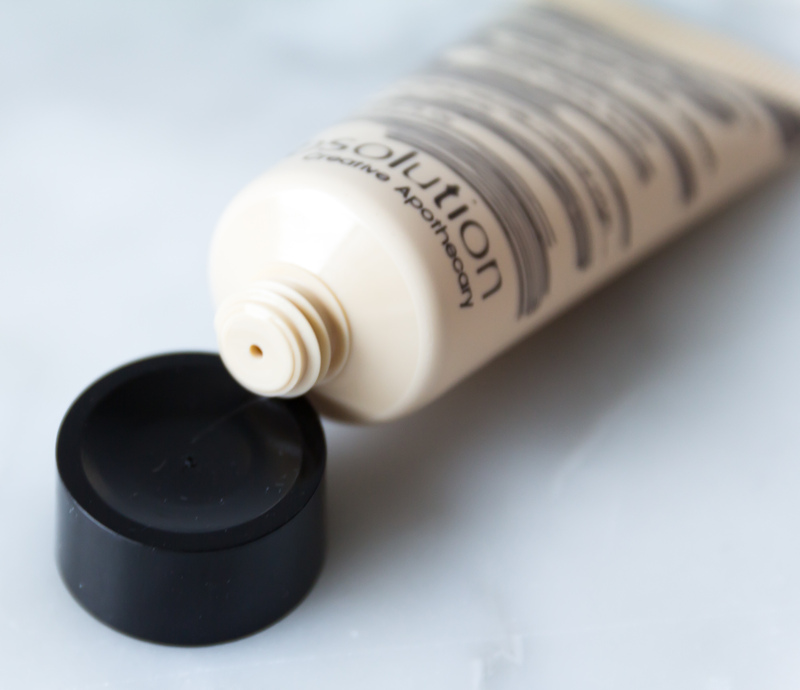 It says suitable for all skin tones but are you brave enough to give this a go? 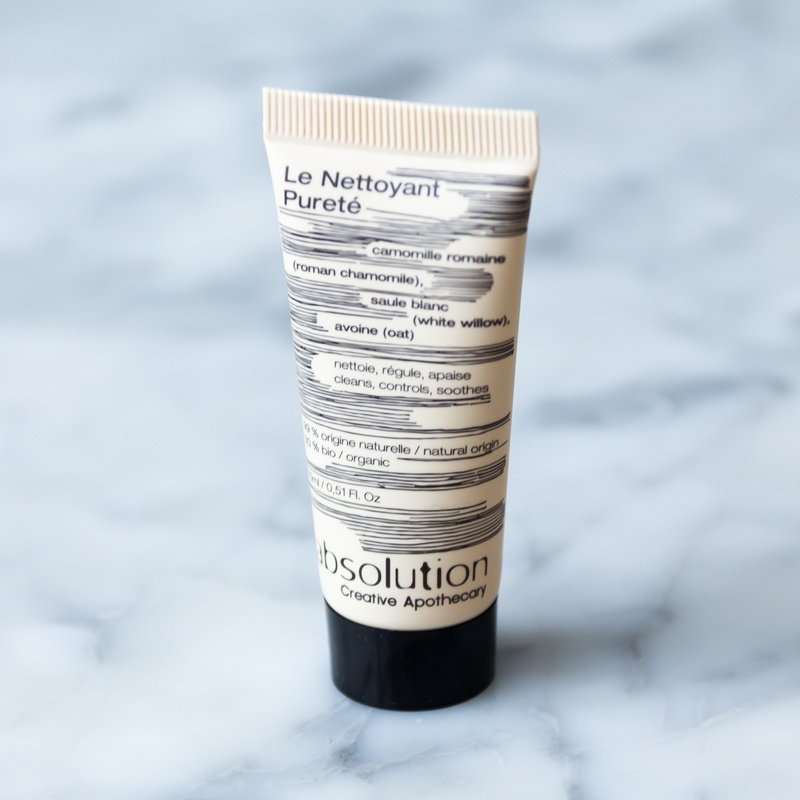 My final sample in this months Birchbox is the Absolution Le Nettoyant Purete, a gentle gel face cleanser. 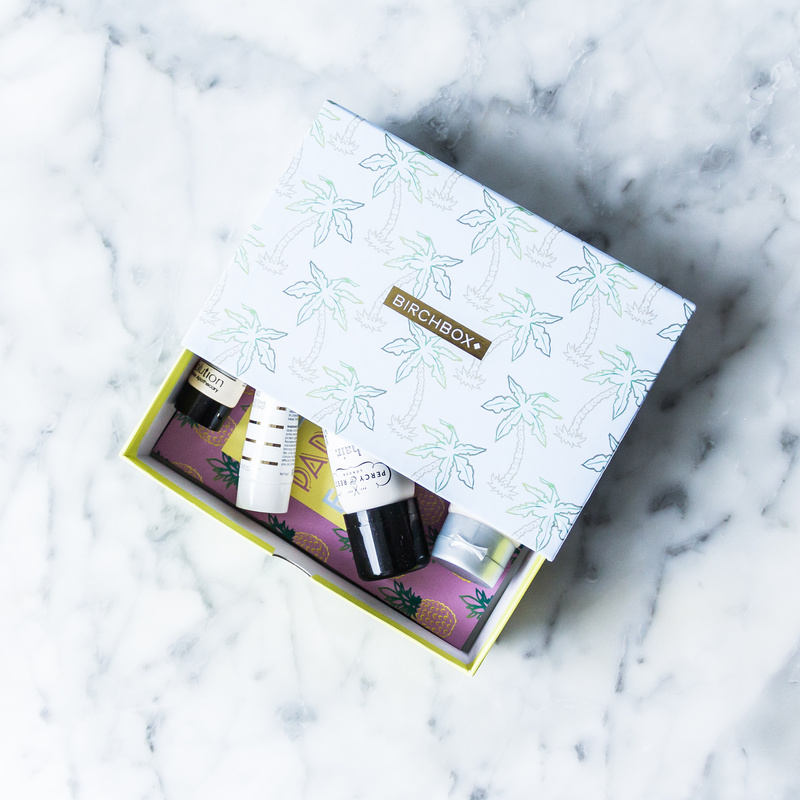 It sounds lovely with its ingredients of chamomile and oats. I cannot wait to give it a try!